Lightweight long sleeve BMX and Mountain Bike body armour for full-on upper body protection. 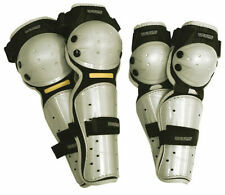 Front-torso, shoulders, upper arm, elbow and lower arm are all covered by injection moulded hard shell PP protectors. 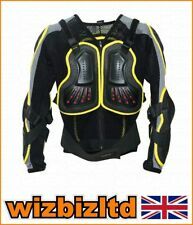 GP-PRO ADULT MOTO-X PROTECTOR JACKET SHORT SLEEVED S / M (EIC-6095-1) PROMXJ26 - Our Referance PROMXJ26. 1x PROMXJ26. Manufacturer Part Number: PROMXJ26. Type: Protector. Removable back protector with EVA foam. MX NECK BRACE YOUTH SIZE Youth Neck Brace. Universal youth size. 1x PROMXJ08. Manufacturer Part Number: PROMXJ08. Type: Protector. Removable back protector with EVA foam. Back features interlocked protectors. CE approved. Adjustable Velcro closures. Integrated kidney belt. GP-PRO YOUTH MOTO-X PROTECTOR JACKET SHORT SLEEVED M / L (EIC-6094-2) PROMXJ24 - Our Referance PROMXJ24. 1x PROMXJ24. Manufacturer Part Number: PROMXJ24. Type: Protector. Removable back protector with EVA foam. GP-PRO YOUTH MOTO-X PROTECTOR JACKET SHORT SLEEVED XS / S (EIC-6094-2) PROMXJ22 - Our Referance PROMXJ22. 1x PROMXJ22. Manufacturer Part Number: PROMXJ22. Type: Protector. Removable back protector with EVA foam. 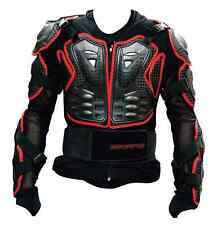 GP-PRO ADULT MOTO-X PROTECTOR JACKET SHORT SLEEVED L / XL (EIC-6095-1) PROMXJ28 - Our Referance PROMXJ28. 1x PROMXJ28. Manufacturer Part Number: PROMXJ28. Type: Protector. Removable back protector with EVA foam. 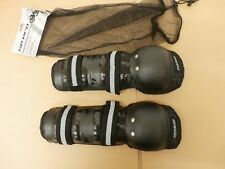 ADULT GP PRO KNEE PROTECTORS. NEW IN BAG. £19.99 ONLY. 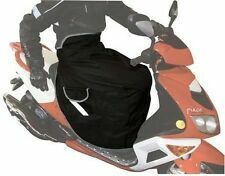 Scooter Apron Waterproof Bib Protector Urban Legs Cover. 'Urban' Style scooter apron. • Apron is tailor-fitted to rest over legs when riding. • Inner fleece lining for maximum warmth. Provides wind and rain protection for rider. GP-Pro Protector Shorts Moto-X Impact Shorts. Comfort inner shorts with fly opening. Provides impact protectiowhere needed. SIZE S (28"TO 30"WAIST. SIZE XL (40"T0 42" WAIST. ). NECK BRACE PROTECTOR. JUNIOR / YOUTH SIZE. UK MAINLAND. • Provides neck support for increased comfort and safety. 2nd Class Recorded to Channel Islands. •Velcro rip-stop closure. GP-Pro Protector Shorts Moto-X Impact Shorts. Comfort inner shorts with fly opening. SIZE XL (40"T0 42" WAIST. Provides impact protectiowhere needed. ). BIKEIT MOTORCYCLE SCOOTER BIKE WATERPROOF BAR MUFFS FOR WINTER SNOW WITH FLEECE LINING GRPMUFF. 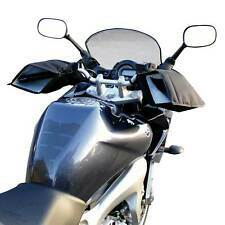 Thermal fleeced line bar muffs, protects rider hands from wind and rain. WE HAVE DIFFERENT ACCESSORIES FOR YOUR BIKE, DON'T HESITATE TO ASK! 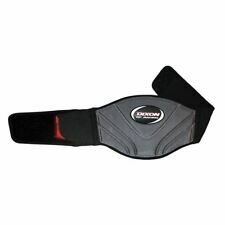 Protection and support for lower back and torso in this GP-Pro kidney belt designed for youth riders. Ergonomic design and ventilated back chassis ensure good and comfortable fit. Fully adjustable belt with elasticated side adjusters. Generous cut allows room to wear this over existing clothing for extra visibility on your rides or commutes. This applies to all to our products. Highly visible over jacket. Generous cut to fit over clothing. MotoGP Teardrop Knee Sliders. Utilises firm grip Velcro and solid plastic pucs. Teardrop shape.